There are times when I regret not having an e-reader. When Marcos Chicot suggested I look at his book (offered for a review only as an e-book), I had that horrible feeling that I was missing out again. This is a translated work (from the Spanish) which gained raves in Spain and beyond. Read on and see how personal this work is for author. Welcome, Marcos! Synopsis of Killing Pythagoras by Marco Chicot: The venerable philosopher Pythagoras, one of the most powerful political figures of his time, is preparing to name a successor from among his grand masters when a string of murders rocks the Pythagorean community. The killings, each more baffling and unpredictable than the last, gradually unveil the workings of a dark and powerful mind, more formidable than that of Pythagoras himself. Egyptian investigator Akenon and the enigmatic Ariadne work to identify the murderer while at the same time coming to terms with their own tumultuous relationship. The challenge they face is one in which the ghosts of the past are interwoven with the sinister threats of the present: a challenge from which it seems impossible they will escape alive. Killing Pythagoras, based on real-life historical events, will plunge readers into an apparently unsolvable mystery. Readers will unearth cryptic clues and come face to face with some of the most unnerving characters ever to appear in the pages of fiction: Glaucus the Sybarite, the gruesome Boreas, the vengeful Cylon, and above all, the mysterious stranger who wields his prodigious capabilities to sow death. To tell the lengthy story behind the publication of Killing Pythagoras, I must begin by mentioning my daughter Lucía's influence in my life as a writer. Before she came into the world, I had spent twelve years writing on the side, fitting it in around my work as an economist and a clinical psychologist. However, on August 21, 2009, my life changed. At nine o’clock that night, after seventeen hours of labor, Lucía, our first child, was born. One minute later, we were told she had Down syndrome. The following weeks were full of intense emotions. We were forced to redefine where we belonged, both in the world around us and within ourselves. During those weeks I rethought all the activities I had been devoting my time to. I finally decided to set aside everything I had been doing and focus exclusively on my family and on writing. Although I had already won several literary awards, I felt that, with enough effort, I could write a book that would be much more far-reaching than what I had written up to that point. Thanks to my daughter, what had been a vague idea I thought about every once in a while now became a concrete goal, a life project. One I hoped would ensure, at least partially, a secure future for Lucía, since my daughter would most likely be unable to earn her living once I was no longer there to care for her. I resolved to spend two years researching and writing a novel. While it would be a thriller, it would also incorporate some topics I had wanted to include in a novel for a long time. I began by spending ten hours a day on research and plot and character development. Those ten hours quickly became twelve and grew to include Saturdays as well. During the week I would take Lucía to daycare, stimulation, and physical therapy, to which speech therapy and swimming were later added. I would work on the novel in the waiting rooms. In order to have a few more minutes to write, I limited my meals to a couple of sandwiches I ate while driving my daughter from one place to another. Despite my dedication, when the two years were up, the novel was still not finished. Or rather, it was finished, but I decided to take another year to rewrite it. I thought it was worth the effort. It had the potential to appeal to many readers, but it still hadn’t reached that potential. The third year dragged on, with multiple rewrites. I worked hand-in-hand with the large team of editors I’ve been lucky enough to be able to count on. By the beginning of 2012, I was finally convinced that Killing Pythagoras was far and away the best novel I had ever written. The moment had arrived to try it out on the reading public. In 2012, Spain was in the midst of a profound economic crisis. The situation was even worse in the publishing sector, and it turned out to be almost impossible to get a publisher to read a manuscript by a little-known author. Besides, I didn't want a publisher to "test launch" my novel. I was determined that Killing Pythagoras would be an important source of support for my daughter's future. I didn't want to risk it fading into oblivion due to being published in a small print run with no marketing and very few copies available in bookstores. For this reason, I decided against taking the classic route of sending the manuscript around to all the publishing houses, and thought of another avenue: literary awards. In a literary contest, a committee reads all the novels submitted, which meant that if mine had the potential I thought it did, it would be sent to the panel of judges as part of the selection process. With this idea in mind, in May of 2012, I submitted it to the literary competition for the Planeta Prize, the most lavishly-endowed literary award in the world. While all this was going on, I had begun, at the end of 2011, to study an alternative way of reaching readers: the Internet. When I finished writing Killing Pythagoras, I began to devote much of my time to reading articles and searching for information. I devoured everything I could find written by Internet gurus and online authors who had been successful in the US, the country that sets the trends for the rest of the world in technology like digital books. When I entered my novel in the Planeta literary competition, I was already dividing my time between writing The Brotherhood (the sequel to Killing Pythagoras), and studying the relationship between the Internet and books. I soon came to the conclusion that what had already happened in the English-speaking world—where millions of readers bought ebooks on the Internet, turning often-unknown writers into bestselling authors, some of whom then received offers of publication from the top publishing houses—was starting to happen in the Spanish-speaking world as well. "Okay," I told myself, "the market for ebooks in Spanish is too small to make a living from, but it will grow, and it’s already large enough to get the attention of the publishing houses. If my novel could make it into the top ten and get good reviews, maybe some publisher would read it and make me an offer." I turned this idea over so much in my mind I almost forgot I had submitted the novel to the Planeta literary contest. I hired a web developer and began to design the cover and learn the thousand little things one needs to know to publish on the Internet with the same quality as a traditionally published book. I had invested a lot of time in the novel and had high hopes for it. I wanted to do things with the same level of professionalism as the top Internet publishers in the US. In October of 2012, I received a call from Planeta, telling me my novel had been chosen as one of the ten finalists and inviting me to the awards ceremony where they would announce the rankings. The first thing I did was call my web developer and tell him to put the Internet publishing project on hold until the outcome of the Planeta Prize was determined. Planeta is a large publishing group, and it seemed like a good option for them to publish my novel. I didn't expect to win the contest, but I knew that they usually published the first four or five finalists, so my goal was to get third, fourth or fifth place. Killing Pythagoras turned out to be fourth in the rankings and first among the novels written without a pseudonym. I talked with several of the judges, and they told me that they had liked my book a lot and had even recommended that Planeta publish the novel. Without daring to get my hopes up too much, I waited for the publisher to contact me. I couldn't do anything else, because Planeta has the right during the first two or three months after the prize is awarded to option any of the novels submitted. While I waited for them to get back to me, I set to work on an old project: making a video on DS that would include my most important conclusions as a father and a psychologist and offer the best advice I could give to parents who had just received the news. I wanted it to be all-encompassing, useful for families and friends as well as parents. I also wanted to make more information about DS available to the general public. Due to the broad scope of the project—which included subtitling the video in English—it would take three or four months to complete. I was immersed in making the DS video when Planeta called to tell me that, owing to the crisis and the fact that I wasn’t a well-known author, they had decided not to publish my novel. I still had a couple of months of work left on the video, but I called the web developer and told him we were moving forward with the Internet publishing project. When I finished the DS video, I uploaded it to YouTube and the web. Then I immediately went back to focusing on the novel, and on April 6th, 2013, Killing Pythagoras appeared on the Internet. When my novel became one of the more than 70,000 digitally-published books in Spanish, deep misgivings invaded me: why would anyone choose to buy my book over the other 70,000? The first day one ebook sold, and I went to sleep surprised, hopeful, and uneasy. The next day two sold, and that first week I got up to three a day. The second week my daily sales rose quickly: eight, nine, sixteen, twenty-three...and suddenly my novel was among the top one hundred! I began to think that perhaps my dream that the publishing houses would take notice wasn't unfounded. One week later, Killing Pythagoras was in the top ten, and by the end of April, it was number two. In May it became the bestselling ebook in Spanish in the world. I was selling more than any other self-published author or any publishing house. Dan Brown himself published Inferno shortly thereafter, and, astonishingly, the Spanish translation of his ebook lagged behind Killing Pythagoras. I couldn't take my eyes off the screen and kept asking my wife to pinch me. When the novel had been number one for a couple of weeks, I began to get calls from interested publishing houses asking if it was copyrighted. I told them I had the rights and sent them the novel. The first publishing houses were Spanish, but soon publishers from other countries in Europe, and even Asia, began to contact me. I was amazed. What was happening was more than I had ever dreamed of, but at the same time, I was uneasy. Would I get an offer? Would I ever hear from these publishers again? And if I did get offers, would they be only for a "test launch"? During this time, I also contacted several literature blogs. They were very receptive and supportive about introducing a writer who was still unknown. Several offered to read and comment on the novel, and the first reviews began to appear. Also, readers who had finished the book were writing reviews all over the Internet. Most of the commentaries posted by readers and bloggers gave it five stars. 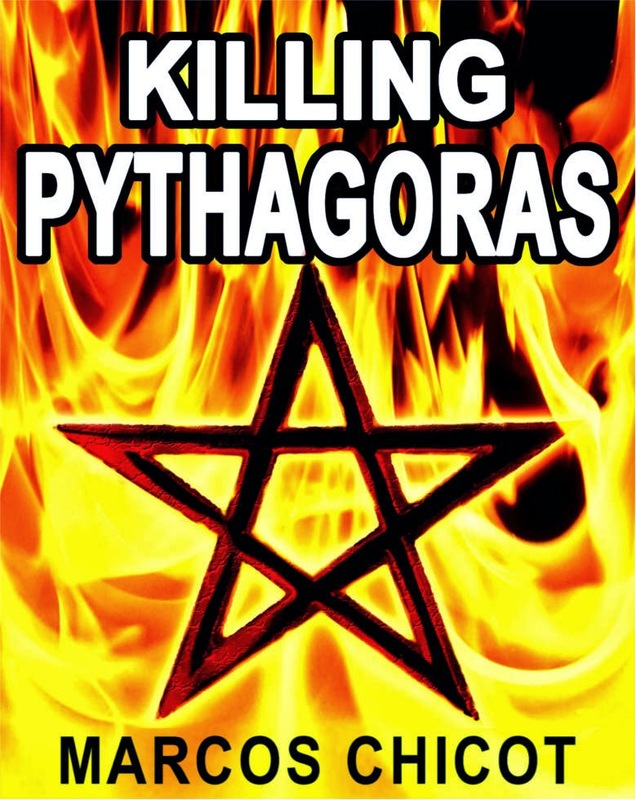 Killing Pythagoras was getting a higher ranking on average than the bestsellers written by known authors. That fact seemed crucial to me, and I based my aspirations on it, hoping someone would believe sufficiently in the novel to keep it from disappearing in a few weeks. In the second half of May the first offers arrived. Over the course of my career, I had signed several publishing contracts, and thanks to that I knew that what I was getting were minimum bids. These publishing houses were certainly not displaying the enthusiasm and single-mindedness I needed them to feel toward my novel. I continued to believe that only a firm commitment by a publishing house could give Killing Pythagoras a real chance in the very difficult world of bookselling. I responded to them in writing that I was going to take some time to evaluate the various offers I had received. Meanwhile, I looked at the bestseller rankings every day, saw that Killing Pythagoras was still number one, and prayed that it would last while I negotiated with the publishing houses. At the end of May, I received a call on my cell phone while I was in the library where I write in the afternoons. It was one of the publishing houses that had sent me an offer by email as well as other emails insisting they wanted to talk to me. This time they had called my home phone and asked my wife for my cell number. They apologized for "harassing” me and insisted they were very interested in talking to me. We arranged to have a meeting on Skype the next day. In the hours before the meeting, I forced myself to contain my expectations. I really liked the apparent interest they were showing, but I didn't know what they would want to offer me, and, most of all, I doubted they would accept several conditions I intended to ask for, as that was something very unusual in the publishing world. During the first part of the meeting I let them talk (there were three women). I liked everything they said. One said she had read my book all in one sitting, staying up until five in the morning, and that the next day she had burst into the publishing house, very excited, saying she had found the book they were looking for. The others demonstrated similar enthusiasm. They told me they were from Duomo, a Spanish publishing house affiliated with the Mauri Spagnol group, one of the three largest publishing houses in Italy. They added that their Italian counterparts had read my novel and were ready to make a significant investment in its publication there as well as in Spain. Killing Pythagoras would be one of Duomo’s most important launches in Spain in 2013, and one of the Mauri Spagnol group’s in Italy in 2014. I asked about the first print run, and they mentioned figures ten times larger than the average print run in Spain. I asked about dates and they told me they would put all their energy into my novel to be able to publish it in early fall, in time for it to gain popularity before the Christmas campaign. Their response was equally positive about what they would invest in marketing. I was very pleased with all of that, obviously, but I had to ask for something more, and I feared the negotiations would break down because of it. First, I explained to them that, for me, this was not just one more novel, but a life project, or rather a project for my daughter's life. For that reason I wanted to keep the digital rights to the Spanish version of the novel as well as the English (a month before, I had hired a translator with the intention of publishing the novel on the Internet in English). I also insisted that I wanted to be a part of the team that designed the cover and all the promotional materials for the novel. They noted my requests and told me they would relay them to the editorial director, who would make the final decision. The next day they called me. The group had agreed to all of my conditions. When I hung up, I let out a shout that contained so much pent-up excitement that the neighbors must have thought I had gone insane. 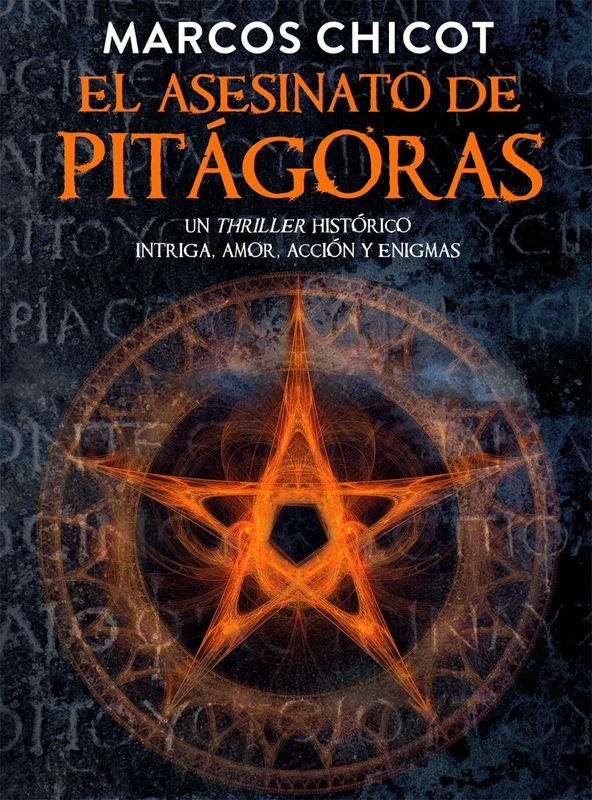 Killing Pythagoras continued to hold the number one spot on the Internet for five months in a row, topping the sales records for a novel in Spanish. In those months I declined the offers that arrived from other publishers and worked together with Duomo, preparing the launch of the print version in Spain. We also accepted offers for publication in other countries like Greece and Poland, and began negotiations for translation to other languages. Finally, on October 7th, 2013, Killing Pythagoras appeared in bookstores all over Spain. I'm writing this just a month after the launch, and for an unknown writer (now a little less so), reader response has been very good. The novel has made it into the top twenty-five in fiction books, and next month there are several promotional campaigns scheduled; for example, painting the book cover on the sides of city buses in Madrid and Barcelona. It's clear that the publisher is very committed to marketing my novel. Booksellers and the media have also given it the reception every author dreams of. "Papa!" Yes, princess, Papa has written this book for you. Marcos Chicot was born in Madrid, Spain, in 1971. He has a BA in clinical and occupational psychology as well as in economics. He wrote his first novel, Oscar, in 1997. In 1998, he wrote Gordon's Diary, which won the Francisco Umbral Award. 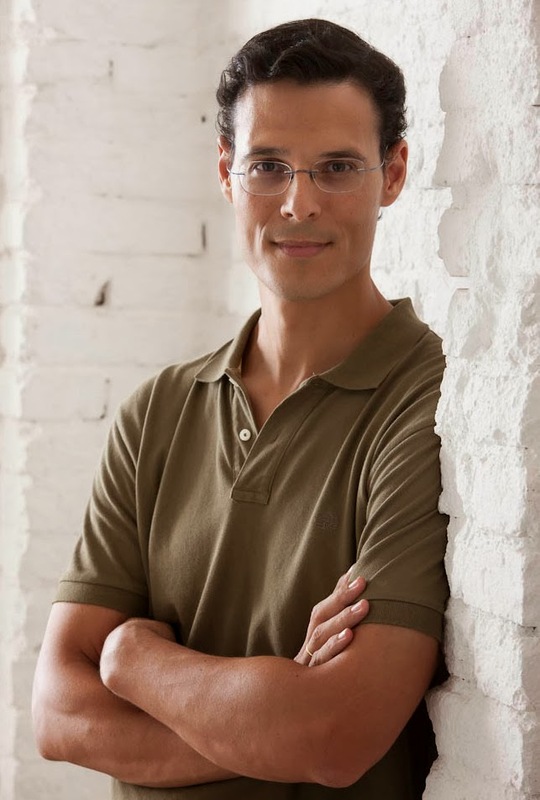 Two years later, he wrote a novel for young readers that won the Rotary Club International Literary Award. He has been a finalist in short story and novel contests such as the Max Aub Award, the City of Badajoz Prize, the Juan Pablo Forner Award, and the Planeta Prize. His most recent novels are historical thrillers which combine fiction with real characters and events. He donates ten percent of the profits from his books to NGOs for people with intellectual disabilities, and he is profoundly grateful to his readers for making this possible. He has been married since 2007 and has two children: Lucía (2009) and Daniel (2012).